Chelsea are reportedly considering a swoop for Barcelona defender Samuel Umtiti who has a €60m release clause and could see his wages tripled. Along with Gerard Pique, the Frenchman has established himself as a pivotal figure in the heart of the Barca defence and it would be a major surprise to see the Catalan giants sell him as they don’t have a wealth of options in that department. 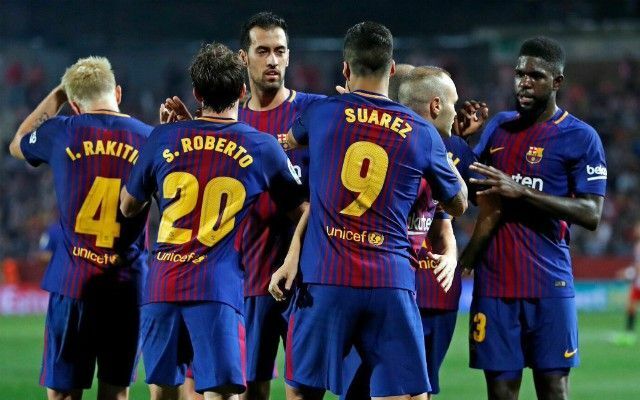 Yerry Mina arrived last month while Thomas Vermaelen remains at the Nou Camp, but perhaps aside from Sergio Busquets playing out of position, Ernesto Valverde will arguably want to see defenders arrive not leave. However, according to Don Balon, as re-reported by The Express, Umtiti has a €60m release clause in his current contract and so that ultimately complicates matters for the Spanish giants, especially if a bid meeting that clause was to arrive. Further, it’s added that Chelsea have now joined Man Utd and Paris Saint-Germain in monitoring the 24-year-old, and it’s said that they’re willing to triple his current €3m-a-year wages. Whether that’s enough to entice him to consider an exit remains to be seen, but given the current situations the two clubs find themselves in, it would be a surprise to see such a move materialise. Umtiti is currently a central piece in Valverde side’s push for major honours and he’ll be a key figure for France at the World Cup this summer. In contrast, Chelsea are struggling under Antonio Conte this season and he has a number of options at the back already, albeit not all have been as effective this year. In turn, there’s a lot for Umtiti to be happy with at the Nou Camp right now and putting the reported financial boost aside, it would seemingly make sense for him to stay put.